Summary: This story, like all of Murakami’s novels, is the the equivalent of reading a dream, one you don’t fully understand until the end. It’s less of a book as it is the recollection of thoughts, memories, and happenings of two people: teenage Kafka Tamura, the runaway living in a library; and simple-minded Nakata, who lost his memory during a freak wartime accident. Nakata can speak to cats and predict what time fish will fall from the sky, and Kafka finds himself in strange situations, like waking up soaked in blood or seeing ghosts of still breathing acquaintances. Little stories intertwined, eventually making sense. I started reading because… I love Haruki Murakami’s writing. His stories never fail to interest me, and after reading and enjoying Norwegian Wood and The Wind-Up Bird Chronicle, I knew I wouldn’t be disappointed by this one. I kept reading because it’s near impossible to tear one’s self away from a book that works in the same way as a maze. Each chapter brings new information, advances the story and its mystery, but you don’t know how any of it connects or why it matters. More than halfway through the book you have yet to learn why the wartime accident that impaired Nakata happened, and it was the first thing you read about. On a deserted island, Kafka Tamura would probably… read. After all, of all places for a teenage boy to run away to, he chose a private library in a tiny village. Anything else to know? Kafka’s father prophesied his son’s fate, the same fate as Oedipus: you will kill your father and know intimately your mother and sister. 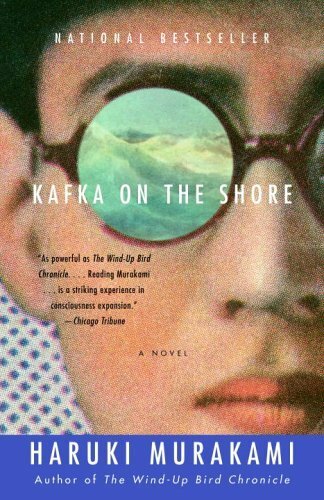 This aspect of the novel has led to the accepted view of Kafka on the Shore as a modern Greek tragedy that explores the idea of fate and will. Online resources: An essay on the incorporation of the Oedipus complex in the book; more on Haruki Murakami. This entry was posted in Author, Libraries, Read This! 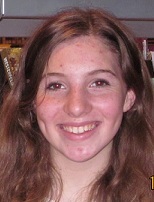 and tagged fiction, lean mean teen reviews on January 29, 2014 by Teen Blogger.